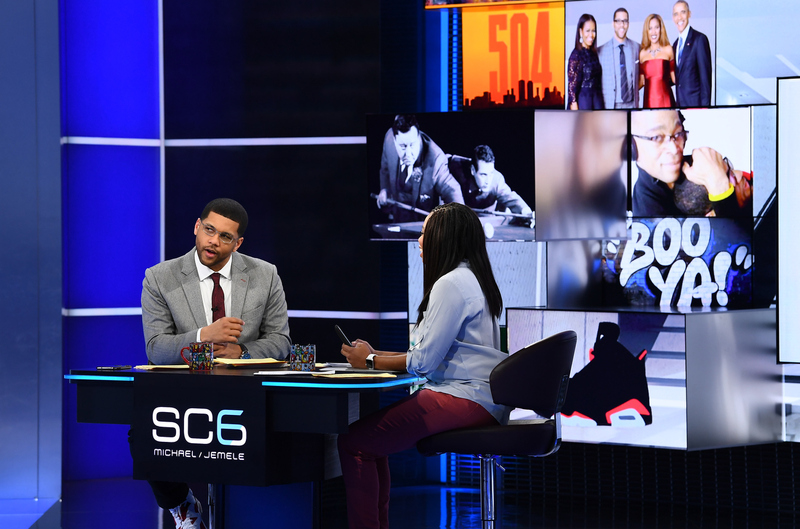 ESPN will launch its newest branded hour of “SportsCenter” next Monday, February 6, with “SC6,” hosted by popular commentators Michael Smith and Jemele Hill. Formerly the hosts of ESPN’s “His & Hers,” Smith and Hill will bring their personalities to the branded hour, including a specially-designed set and theme music, debuting the day after Super Bowl LI. Smith and Hill will be the first African-American duo to host SportsCenter on a regular basis, notes an ESPN release, and will combine some of the elements of their previous program with “SportsCenter” for the new show, including a deliberate and well-paced conversational format in which they discuss sports topics, news, culture and social issues. The program will also focus on news of the day and breaking news as warranted. 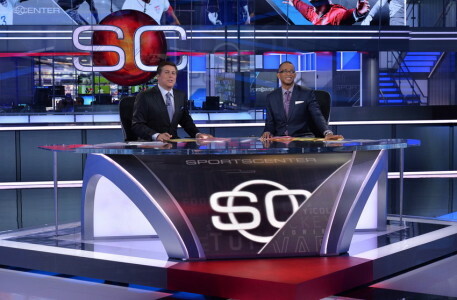 “SC6” will broadcast from the main “SportsCenter” Studio X, incorporating an urban, contemporary theme resembling a loft space, with elements of wood and white brick and dominant colors of black, white and blue. Backdrops and light boxes will include elements personally chosen by Smith and Hill to represent their home sports allegiances and common interests. The show will feature a remix of the ubiquitous “SportsCenter” theme from DJ Jazzy Jeff.